This is so funny you can’t even be mad? How? How is it even remotely funny? 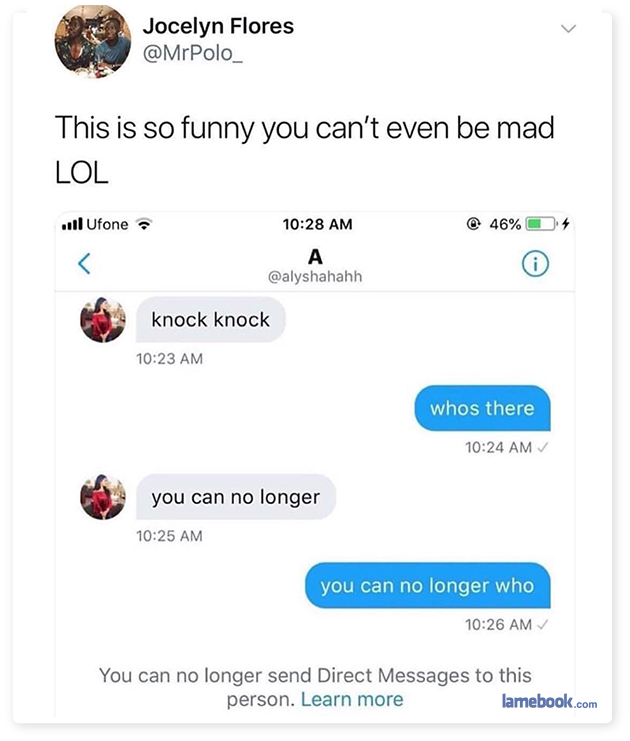 It doesn’t even work on the level of the lamest knock-knock joke in existence.